Dezeen promotion: hotels in North and South America recognised by this year's AHEAD awards include a converted bank in Los Angeles, a beachfront resort in Nicaragua, and a renovated motor lodge in California. AHEAD's annual awards programme celebrates outstanding hotel architecture and interiors projects around the globe, divided up into four regions: Americas, Asia, Europe, and the Middle East and Africa. The entries are first judged by an independent panel of leading hospitality architects, designers, owners, operators, developers and commentators. Announced at a ceremony in Miami this month, the Americas awards were given to the top designs for hospitality, including dining experience and overall design. 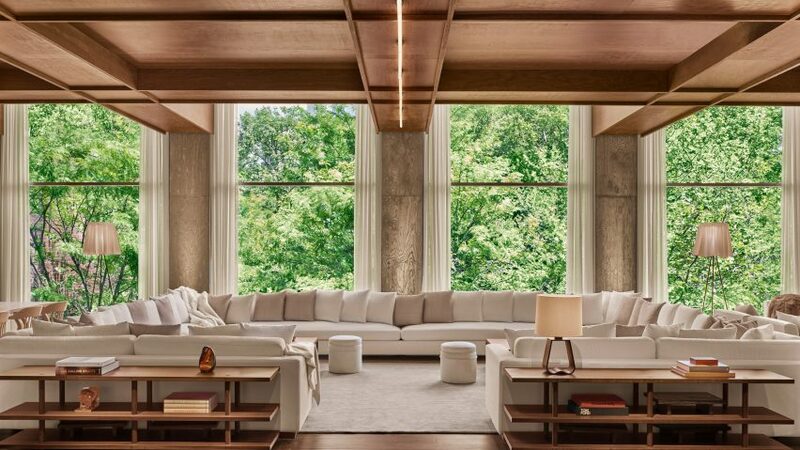 The big winner was the Calistoga Motor Lodge & Spa in Napa Valley by AvroKO, with branding by Brand Bureau, which won the AHEAD Americas Hotel of the Year. 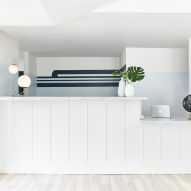 The renovated motel also topped three categories: Hotel Restoration and Renovation, Spa and Wellness, and Visual Identity of the Year. 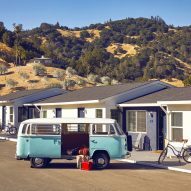 Dezeen recently interviewed AHEAD judge Markus Schreyer, who noted the growing trend for motel revivalism. 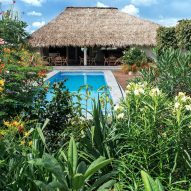 The Meson Nadi Boutique Hotel in Tola, Nicaragua, was recognised in two categories. It won for best Landscaping and Outdoor Spaces, and Resort Hotel. In Los Angeles, the NoMad was awarded for Urban Hotel – Conversion, as the building was originally an bank. It now has ornate interiors with marble floors, columns and floral details designed by French architect Jacques Garcia. 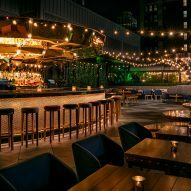 Another winner in this year's awards was the Moxy Times Square in New York, which was awarded in the Bar, Club or Lounge category for its Magic Hour Rooftop & Bar. Best hotel restaurant went to Le Sirenuse in Miami, Florida, which is based at Four Seasons Hotel The Surf Club in Miami Beach. The PUBLIC Hotel in New York's Lower East Side was recognised for its impressive lobby and public space design. Swiss architecture firm Herzog & de Meuron designed the building, and ISC Design Studio was behind the interiors. 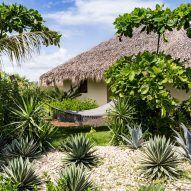 Each year, AHEAD announces the best hotel designs across 12 categories, with four entries initially shortlisted in each. The results for AHEAD Middle East and Africa will be released in November 2018, while AHEAD Asia took place in March. These winners will go on to compete in AHEAD's Global Biennale of 2018 for international recognition.